By studying the maths and English programmes, our students develop independent learning skills and increased self-confidence as they work out how to overcome challenges by themselves. Through our unique method, children are supported to reach an advanced level of study. By studying beyond the international standard for their age, children are best prepared to succeed in an increasingly global community. In addition to developing academic ability, Kumon study fosters in students the mind-set and skills for self-learning. Kumon is an independent study programme, but students are never alone. Our Instructors provide the guidance students need to take learning into their own hands, increasing their motivation to succeed and achieve. 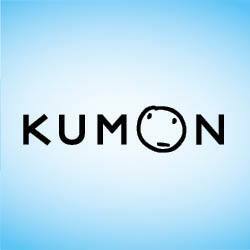 Kumon is learning for the long run: if you want your child to be best prepared to succeed both at school and beyond, daily Kumon study can make all the difference. The Kumon Maths and English Study Programmes enable children of any age and ability to build key learning foundations. Our programmes will not only help your child to become a confident learner.